Anna Signeul's side will compete at the Women's EURO 2017 in the Netherlands. 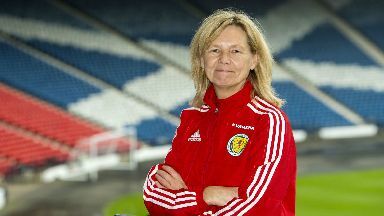 Scotland's women's side have secured qualification to a major football tournament for the first time. A 3-2 win for Portugal over Finland on Friday evening has confirmed Anna Signeul's team will compete at the Women's Euro 2017 that will be held in the Netherlands. Despite Scotland not kicking a ball, the result in Trofa guarantees they will finish as one of the best second-placed teams in the qualifiers. Scotland had previously booked their place in the play offs but knew a point against Iceland next Tuesday would have been enough to to seal automatic qualification instead. They had the luxury of being fast tracked to the finals, however, if results went their way in matches before then. Serbia failed to beat Belgium on Thursday, which would have been enough, but three more teams playing on Friday would have done the job for Scotland if any of them failed to win. Finland were first to play, and lose, deeming it irrelevant to Scotland whether Russia or Italy did likewise later in the evening. Seven more teams, this week, will join Scotland and the seven who have already secured their place at the finals with another two more to be confirmed in October's play-off.